In a small town outside of London, located at the junction of two ancient roads, sits Sevenoaks School, one of the oldest lay foundations in England. Sevenoaks was founded in 1432 — well before individuals like William Shakespeare were writing (or perhaps plagiarizing) some of the finest work in the English language. Since then, Sevenoaks has become known as one of highest ranked co-educational environments in the world, serving a diverse and talented international student body. So, what does a small boarding school in London and an educational think tank in Boston have in common? You’d be surprised. 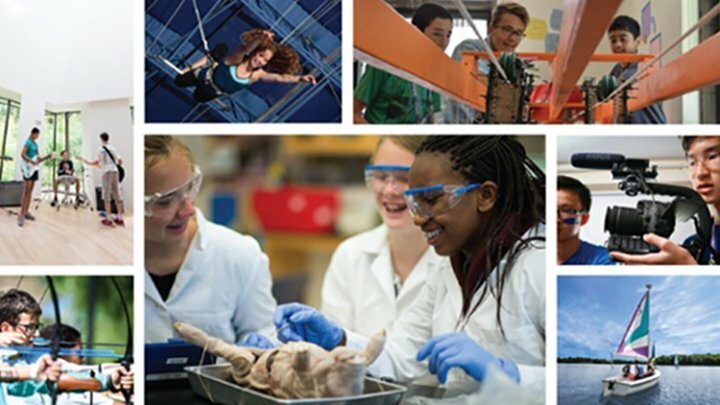 Not only do EXPLO and Sevenoaks find the importance of cross-cultural educational environments, each enrolling students from over 40 different countries, they both design curricula that inspire a sense of curiosity in their students, where subjects are not rushed or "checked off," but explored and reflected upon. 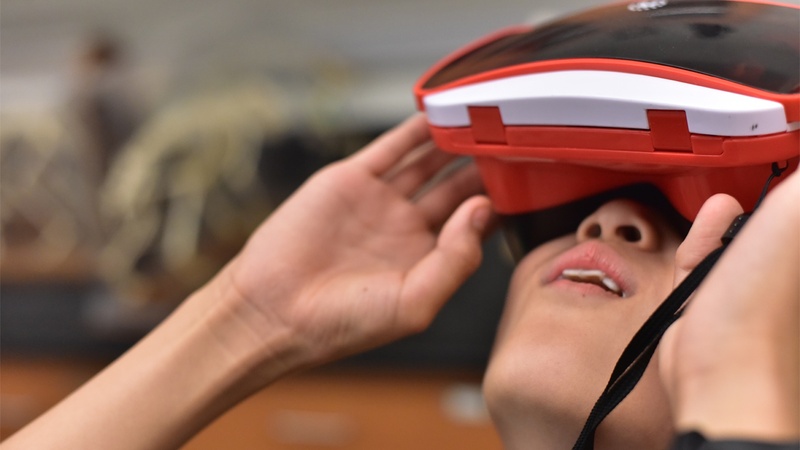 Sevenoaks VR headsets transform a classroom into an intergalactic expedition for this EXPLO student. 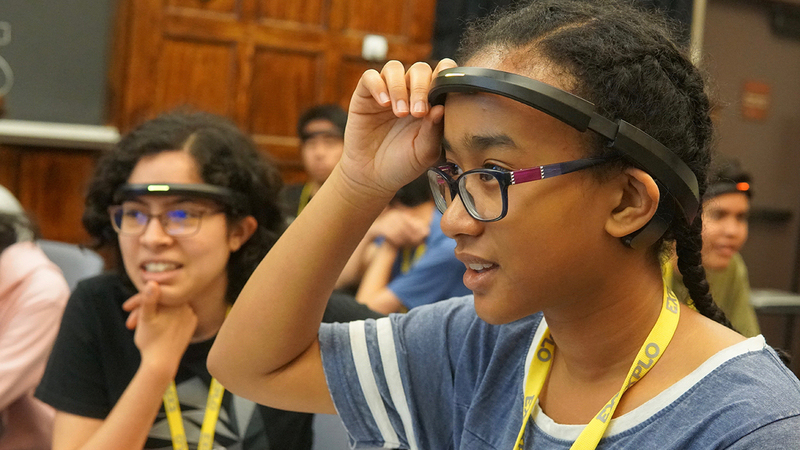 This past summer, Sevenoaks generously sent EXPLO a large assortment of experimental technology to augment our curriculum, from VR headsets and USB microscopes to thermal and 360-degree cameras. 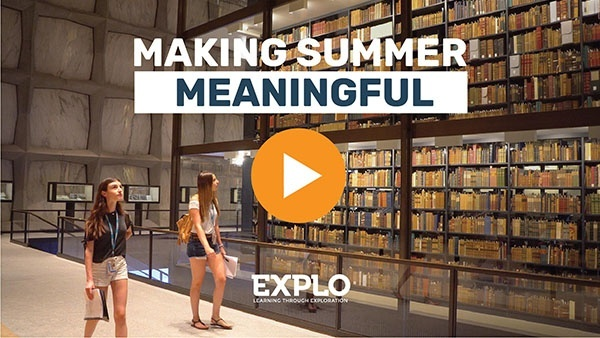 We embedded this technology into our courses and, throughout the summer, watched as our students explored topics in a completely different and hands-on way. A notable moment was the audible gasps of our fourth graders when they first put on their VR headsets and virtually landed on Jupiter, excitedly chattering to each other about Europa’s size and color in relation to Jupiter’s other moons. It brought the meaning of “space exploration” to a whole new level. Challenged to get a marble down a ramp, a Sevenoaks student realizes it's time to re-design his prototype. This fall, 29 Sevenoaks high schoolers ventured to Boston, eager to learn more about STEAM education in the United States. Nestled in the itinerary between visits to MIT and Brown University, Sevenoaks spent two full days with EXPLO, exploring how our approach to curriculum design around robotics, automation, architecture, contemporary design, and future technology creates a unique — and playful — learning environment. Students first spent a day at The Exploration Center with Creative Director Dave Hamilton, where they examined the relationship between STEAM and the concept of “play.“ From simple design challenges to conceptualizing their own games from scratch, the group tackled questions about how and why rules, teams, and playing spaces are designed. 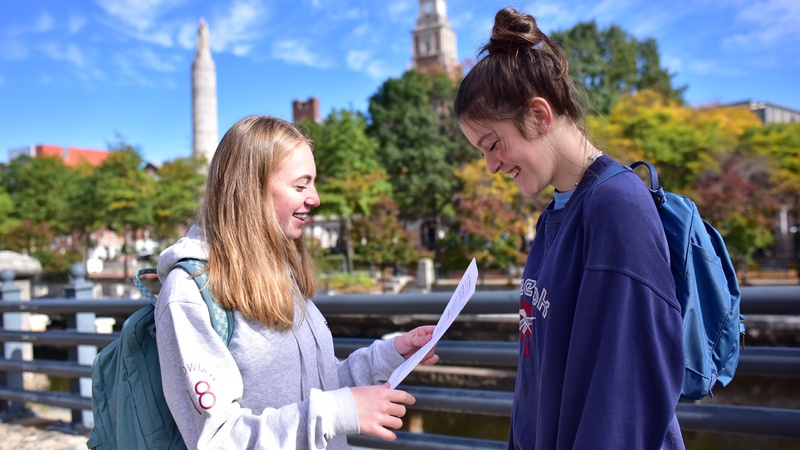 Students investigate the meaning of form and function throughout Providence's city landmarks. How Does A City Think About Design? 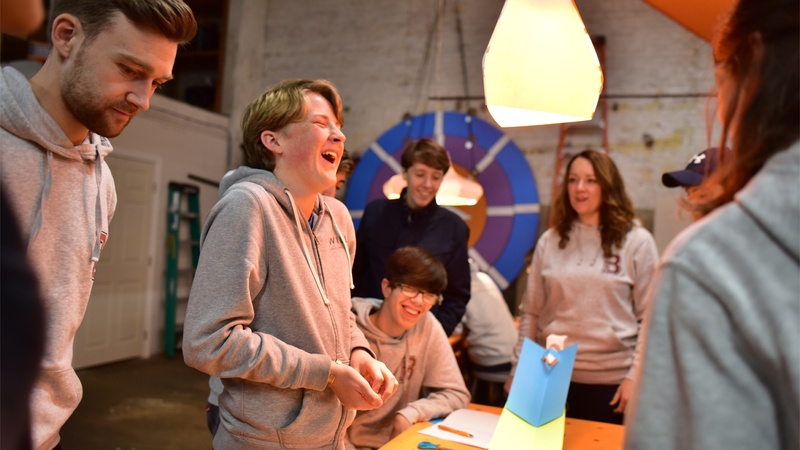 EXPLO and Sevenoaks continued their investigations in Providence, Rhode Island, to learn more about the real-world application of architecture and play. Their challenge? To prototype a temporary installation along the historic Blackstone Canal. 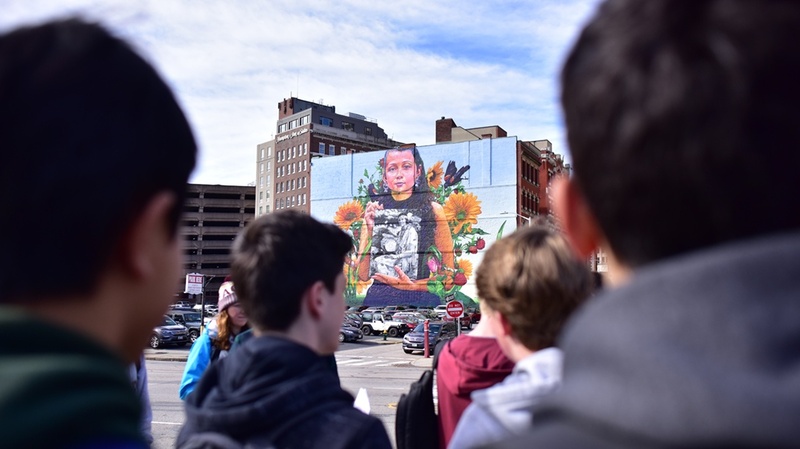 First, Sevenoaks and EXPLO traveled to City Hall for a Mural Walking Tour to better understand the integration between urban development and public art. The tour included a number of large scale murals by artists from around the world, who have turned streets and parking lots into outdoor art galleries across the city. 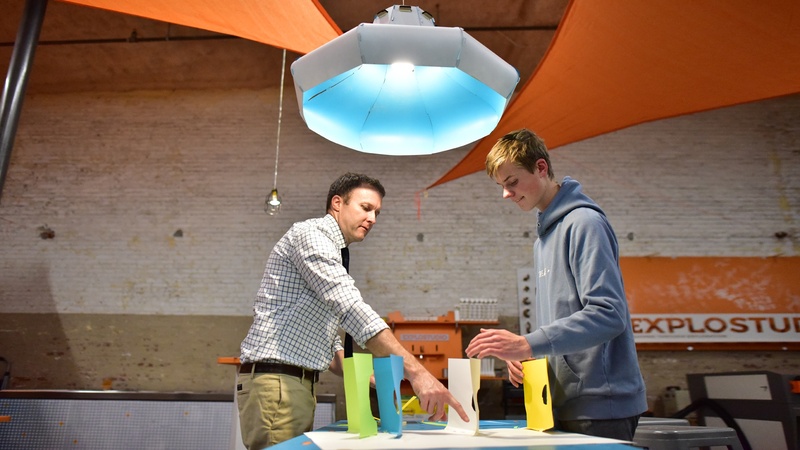 Working through the design thinking process, students begin prototyping their installations. 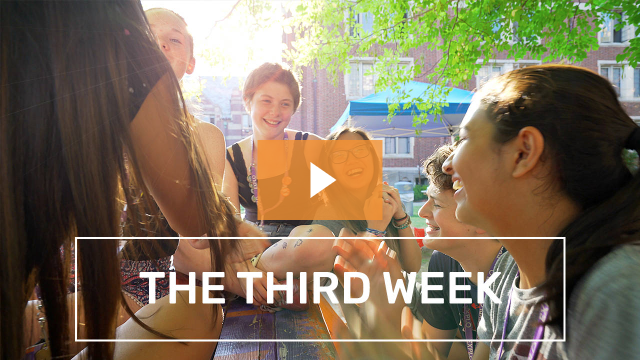 This two-day curriculum was guided by our belief that, by integrating interdisciplinary studies into everyday investigations, we inherently come up with more out-of-the-box ways to problem-solve. By adding art and play to STEM-based thinking, students can use analytic and creative skills in a low-stakes environment. This is how to prepare creative risk-takers for an uncertain future in the workforce. Sevenoaks students learn about the cultural history of Americas through mural work. We are extremely excited about our partnership with Sevenoaks School and can’t wait to continue elevating each other’s mission to make room for discovery through doing in education.